ProTherm PIR TORCH is a rigid Polyisocyanurate (PIR) foam insulation for use in bituminous roofing-systems on suitable surfaces. ProTherm PIR TORCH is a rigid Polyisocyanurate (PIR) foam core faced with bitumen coated glass fibre tissue on one side and polypropylene fleece on the other. The PIR foam core is temperature tolerant and withstands the application of hot bitumen to the surface temperature of 240°C. 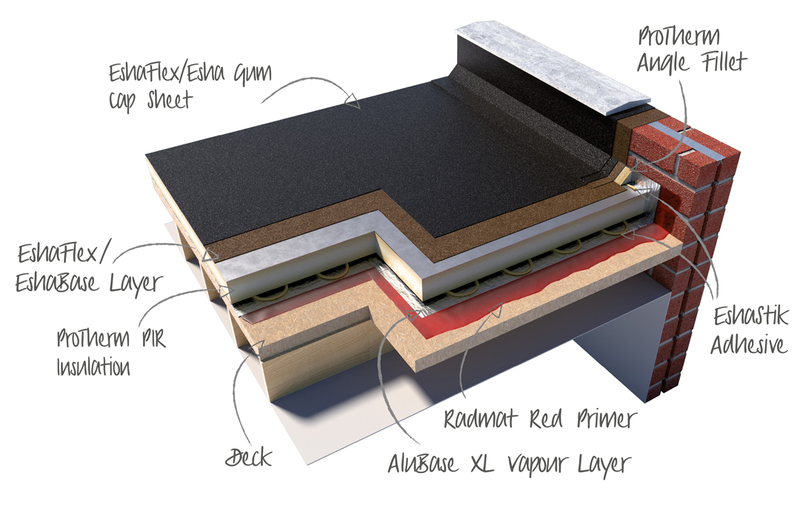 For use with adhered or mechanically fastened warm roof waterproofing such as EshaUniversal, EshaFlex & EshaGum. ProTherm PIR TORCH is compliant with BS 4841-4:2006, BBA No.16/5341. ProTherm PIR TORCH is bonded to the Radmat Vapour Layer or prepared existing surface with EshaStik PU Adhesive. When used with EshaVent or EshaFlex TK40 Base Layers the ProTherm PIR TORCH boards should be laid buff coloured facing side up. When used with EshaFlex 370 Plain Base Layer or other torch applied Base Layer ProTherm PIR TORCH boards should be laid with the black facing side up. 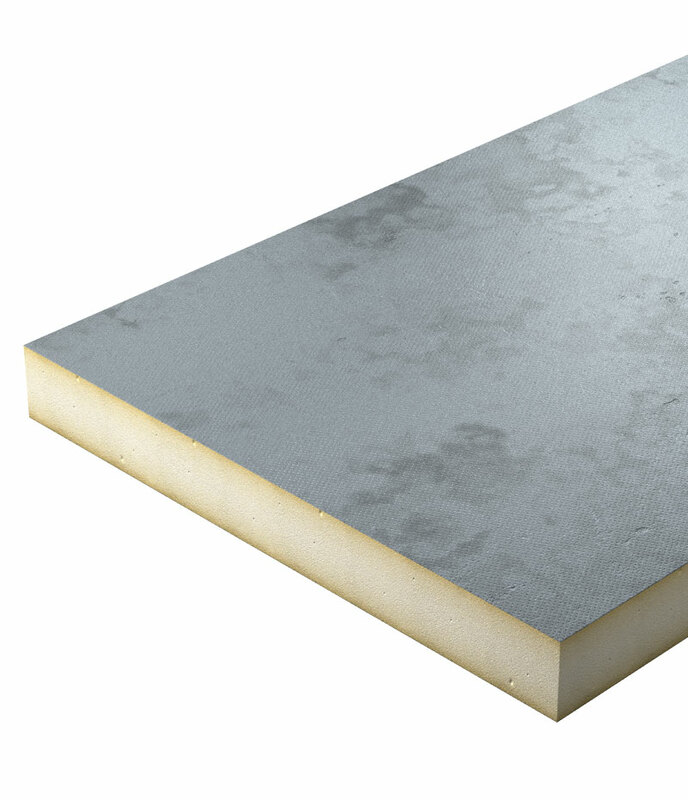 Individual ProTherm PIR TORCH boards should be laid with edges butted and in a break bond pattern laid at right angles to the edges of the roof or diagonally across the roof. When applying ProTherm PIR TORCH on existing bituminous or sanded substrate the surface must be prepared in accordance with the project specific guidelines provided by Radmat. All installation to be according to guidelines and specifications supplied by Radmat.